John Matthew Devine (1885-1971) was a decorated General of World War II. Personally selected by President Eisenhower to serve as Commander of the 8th Armored Division (The Thundering Herd) in 1944, General Devine had previously served as the Commanding General of the 7th Armored Division, where he served in continuous combat from D-Day plus two, to after landing in Normandy, France. He led the Division until 1945 during a period of intense combat. Later, as Commander of the 2nd Armored Division (Hell on Wheels) from September 4, 1945 to March 24, 1946, he oversaw occupation duty in Germany after the war. As Commander of the 2nd Armored Division from 1945 - 1946, General Devine oversaw the occupation of Germany in Berlin at a time when the 2nd Division was staffed to maximum capacity, leading 21,000 soldiers. During the occupation, Devine led the Division in its return home from victory to United States soil. 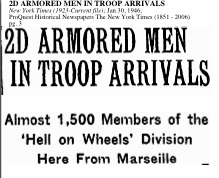 In an article in the New York Times, dated January 30, 1946, The Second Armored (Hell on Wheels) Division, arrived in Staten Island from Marseilles, France. The article mentions that the Second Armored Division was one of the Army’s most active combat units, participating in campaigns from the invasion of Africa to the fall of Germany. The New York Times article, attached, describes that personnel from the 2nd Armored Division received numerous service medals and honors, took 95,000 prisoners, or six times its own strength at the maximum size. 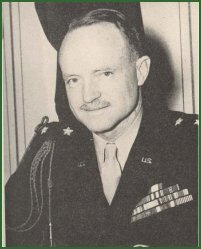 After his successful commands leading the 8th and 2nd Armored Divisions from 1945-1946, Devine was named Chief of Staff of the Army, serving for one year in that important position. In February, 1949, Major General Devine was named Commanding General of the 1st Calvary Division, located at Fort Bliss, El Paso, Texas. He served as Commanding General there until August, 1949. Later in 1952, he retired from Active Service. 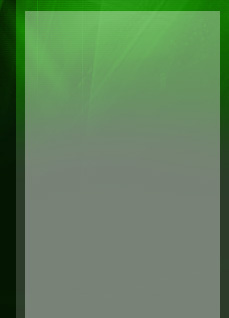 Major General Devine died in 1971 at the age of 90. Through an investigation of my family tree, compiled by my great-uncle, I discovered that General Devine could in fact be related to me. My grandfather, George Devine, (1938-2010), was born to Gertrude and Paul Devine (1880-1943) in Boston, MA. Paul’s Father, Matthew, had 3 sons, but we are not sure of their names, except for Paul. It is possible that John Matthew (1995-1971) could be a cousin to Paul or even a brother. Further investigation is needed regarding these possible family ties.